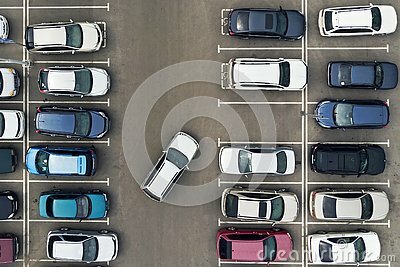 The only vacant parking space in parking lot. Navigation in the car park. Searching for vacant space for parking. The parking is jammed with cars. problem. Finding a vacant place.